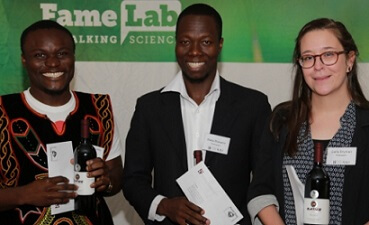 Matia Mukama, a doctoral student in Food Science at Stellenbosch University (SU), won the SU heat of the 2019 FameLabscience communication and public speaking competition on Friday (1 February). Carla Snyman, a doctoral student at the Institute for Wine Biotechnology, and George Teke, a Master’s student in Process Engineering, finished second and third respectively. At the event held in the Wilcocks Building on the SU campus, Mukama and 16 other postgraduate students were given only three minutes to share their research with the audience. As the winner of the heat, Mukama will represent SU at the final in Gauteng in May where he will compete against the winners of heats at other universities in South Africa. The SU FameLab heat was organised by Jive Media and co-sponsored by the Postgraduate Office and the Centre for Research on Evaluation, Science and Technology (CREST) at SU. The judges were Dr Palesa Mothapo from the Department of Botany and Zoology, Dr Gillian Arendse from the Division for Student Recruitment and Career Counselling and Dr Marina Joubert from CREST. Mukama added that he was looking forward to representing SU at the national competition and that he would do his best to make the University proud. 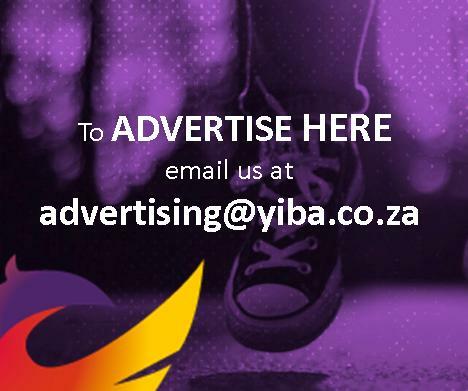 All the finalists will receive additional training in science communication sponsored by the British Council and the South African Agency for Science and Technology Advancement. The winner of the South African final will compete against participants from 30 countries at the international FameLab competition in Cheltenham, UK in June. Photo: Matia Mukama (middle), George Teke and Carla Snyman at the FameLab SU heat.